A booming construction industry across the globe is expected to propel the demand for piling equipment and supplies necessary in pile foundation work. Further, according to a new research study published by Persistence Market Research, growing investments in non-conventional sources of energy and rising exploration activities to extract new mineral deposits are expected to fuel demand and revenue growth in the global piling equipment and supplies market. Technology enabled advances in hydraulic fracturing have led to a shift from conventional production of utilities to non-conventional shale gas and tight oil production. Shale gas and tight oil is produced in large quantities in the U.S and Canada and this is likely to result in an increase in foundation work in shale gas production facilities, thereby amplifying the demand for piling equipment. A shifting focus towards unconventional energy sources such as solar and wind energy to generate power is being underpinned by regulatory approvals and governmental support in countries such as India, China, and Japan. This is further anticipated to lead to increase in foundation work and thereby fuel the demand for piling equipment. Zink printing is based on the technology of 'zero ink' - users only need to purchase special photo paper for printing, and are saved the trouble of investing in expensive ink cartridges. Zink printers also come in a smaller form factor than traditional ink printers, as the space required for ink cartridges and ribbons is saved, making these printers more portable and easy to handle. This is the biggest factor fueling demand for and adoption of zink printers across multiple industries. Zink printers are also flexible owing to the compact size and require no external cable connections. This enhances the portability factor, enabling users to carry zink printers wherever required for efficient printing operations. Flexibility is another key revenue driver in the global zink printing market. There has been a slowdown in mining activities in Malaysia, China, and Indonesia in the recent past predominantly owing to the imposition of strict governmental regulations in these countries. This has resulted in a shift to other regions for the exploration, mining, and excavation of metals and minerals, to bridge the demand-supply gap. Advanced geotechnical and foundation equipment is necessary to gain access to deep mineral deposits and also to stabilize the structure of the soil in areas adjoining the mines. 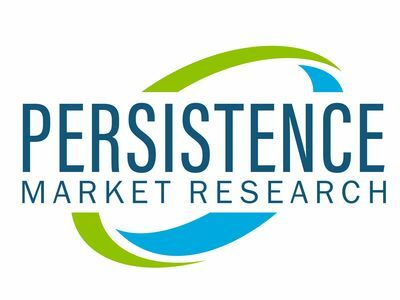 Persistence Market Research predicts that such exploration activities will eventually drive demand for anchoring equipment and piling sheets in the coming years. According to the analysis presented in the report, the global markets for piling equipment and piling supplies - collectively estimated to be valued at US$ 5,117.0 Mn in 2018 - are projected to reach a collective valuation of US$ 7,168.8 Mn towards the close of 2026, exhibiting CAGRs of 3.7% and 4.5% respectively during the period from 2018 to 2026. This growth can be attributed to the increasing regional investments in infrastructure projects resulting in rising demand for piling equipment and supplies. Manufacturers of piling equipment are leveraging technological innovation to improve the quality and performance of their products while complying with rules and regulations pertaining to environmental protection and sustainability. The diesel hammer has slowly given way to hydraulic hammers and in several densely populated regions, piling equipment used both to drill piles into the ground and excavate existing piles, uses vibration technology to reduce instances of noise and dust pollution. Latest piling equipment is pre-fitted with GPS and other land positioning systems that help locate foundations. For instance, sensors are used on crane booms, foundation rig masts, and in vertical lead systems to position foundation elements. Technological development allows rigs and cranes to correctly position the foundation within specific coordinates and thereby minimizes costs associated with surveys. These advancements are expected to bolster revenues in the global piling equipment and supplies market.